Two alumni events were held around the performances of Ladysmith Black Mambazo when they performed at the Roy Thompson Hall in Toronto and Brock University in St. Catharine’s. Alumni and friends enjoyed a pre-show drink before each event. 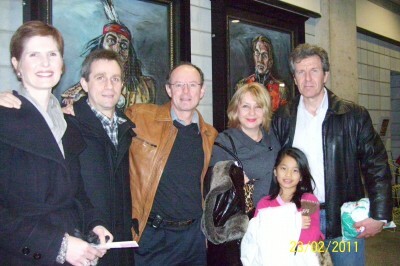 Alumni were treated to a concert by Johnny Clegg in April, also at Brock University. He had the packed theatre on their feet with his high energy performance. It was evident that many audience members were revisiting concerts of their youth as Johnny played all the old favourites. His new songs show he’s still got what it takes.